In the wake of the high-profile suicides of chef and author Anthony Bourdain and fashion designer Kate Spade, the media has turned an unusual amount of attention to the problem. But several insightful articles, including one penned by Jesse Bering, author of Suicidal: Why We Kill Ourselves, are now attempting to dissect the media response itself, exposing both popular misconceptions about the phenomenon as well as at least one outright attempt to appropriate it in the name of furthering an ideological agenda. Among the more obnoxious things I’ve read in the wake of Anthony Bourdain’s death is that if only he had been a man of faith, he wouldn’t have taken his own life. Consider the almost sneering commentary offered by Bill Donohue . . . in a syndicated piece written less than a day after the rogue chef’s body was found hanging by the belt of his bathrobe in a Strasbourg hotel room. . . . Not only is the tenor of Donohue’s sentiment completely tone-deaf and insensitive, his claim that Bourdain—or, for that matter, any other atheist suicide victim—could have been saved by religion is presumptuous and misleading. In his unabashed efforts to show why Catholicism is superior to other religions (he touts his book The Catholic Advantage while writing about Bourdain’s suicide), Donohue points out that regular churchgoers are less likely to kill themselves. He’s right. But it turns out it’s a little more complicated than Donohue would have us believe. For more, you can find Bering’s article on the Skeptic blog. 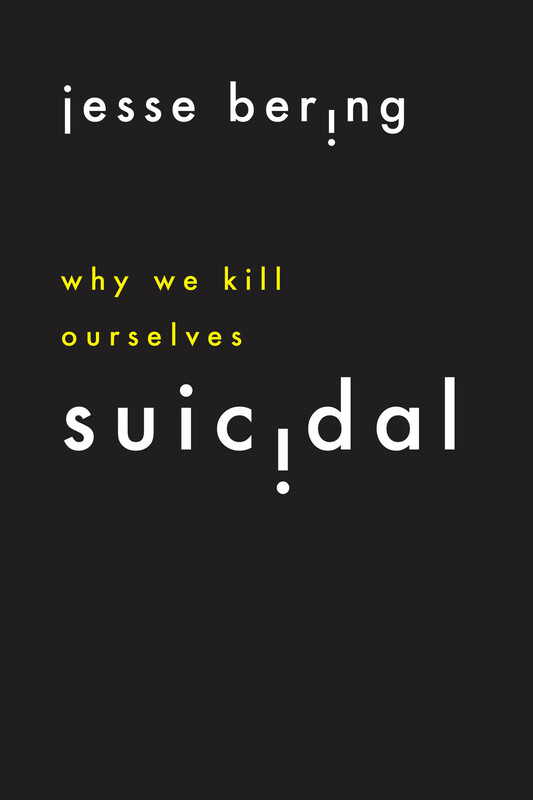 You can learn more about Suicidal, in which Bering expands on his insights and brings the weight of personal experience to bear on these questions, on the press website. The National Suicide Prevention Lifeline is always available, 24 hours a day, with someone to talk to at 800 273 TALK (800 273 8255).